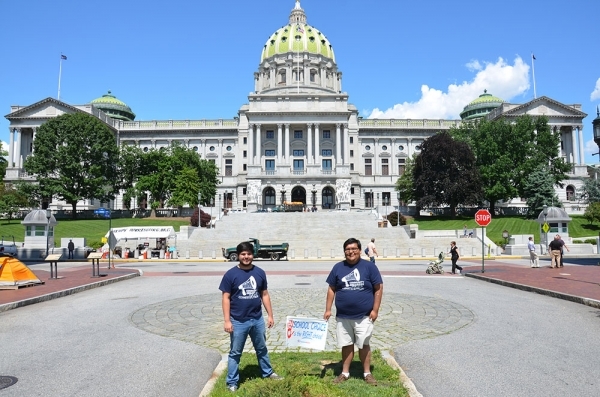 Harrisburg, Pennsylvania has been a center for the fight for school choice. 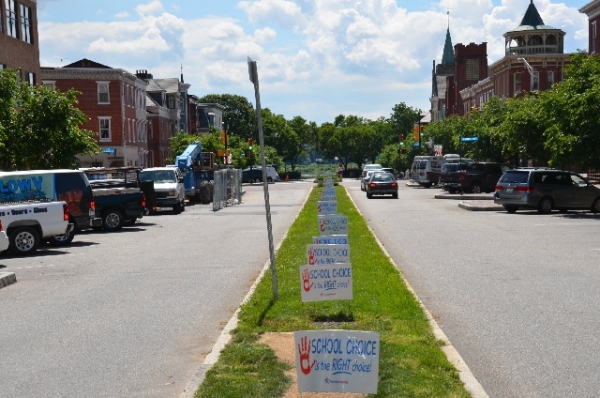 On June 6, with only five activists and four hundred signs, Harrisburg was invaded by school choice signs. The signs sent a message to the Pennsylvania legislators because a school choice bill is to be voted on soon. Activists not only put signs around the capitol building but around the Governor’s Mansion. Contrary to efforts by Gov. Bobby Jindal in Louisiana, Gov. Corbett has not challenged the state legislators to push a true school choice bill through. Oddly Governor Corbett had four points when he ran for office; one that included school choice and he has shown that he didn’t keep that promise. Please Call Governor Corbett and ask him to support school choice reform at (717) 787-2500.